The treasures of Northern Italy. This long-standing customer favourite takes you on a holiday to Lake Garda’s serene shores and to two of Italy’s most spectacular cities. 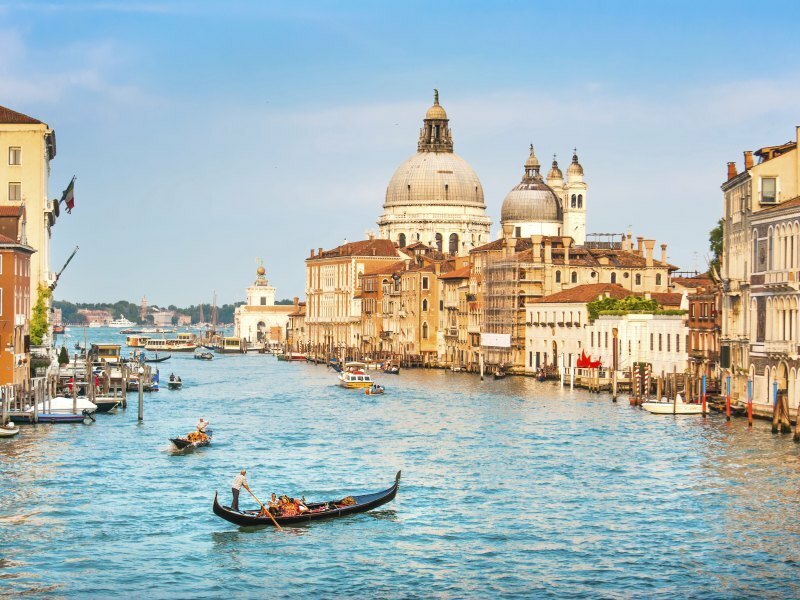 Discover the beguiling wonders of Venice and historic Verona, visit some of Garda’s enchanting lakeside towns, and explore the heights of the Dolomites, which rise beyond the shimmering waters, on a series of four wonderful included excursions. Flights also available from airports in England – Belfast, Birmingham, Bournemouth, Bristol, Cardiff, Cornwall, Durham, East Midlands, Humberside, Leeds Bradford, Gatwick, Luton, Heathrow, Stansted, London Southend, Manchester, Norwich & Southampton – click here for more information on dates & prices. Fly to Italy and transfer to Lake Garda and your hotel. After a chance to relax and familiarise yourself with your surroundings, enjoy dinner in the hotel. Relax and explore your hotel and its surroundings, today. Our resorts have much to offer – stroll the lakeside promenades, shop, watch the world go by from a pavement cafe or perhaps take to the waters of the lake itself. Our Grand Circular Tour of Lake Garda, by boat and coach, is the perfect way to enjoy the region’s marvellous scenery and to explore some of the delightful lakeside resorts. From the fjord-like eastern shores and the northern mountains to the western shoreline of citrus and olive groves, each section of the shoreline has its own distinctive charm and allure. After a day of discovery and freqent stops to explore, we’ll return to the hotel via the wine-growing town of Bardolino and the busy resort of Garda itself. Today we’ll discover “fair Verona” on the banks of the River Adige, the historic backdrop for the tragic tale of “Juliet and her Romeo” and home to the famous opera season held yearly in its Roman amphitheatre. Explore this fascinating place, then take a seat in an open-air cafe in Piazza Bra to watch the world go by. Spend another day relaxing and enjoying the facilities at your hotel and exploring the resort. Venice, which we’ll visit today, is one of the world’s most beautiful cities. With its mysterious labyrinth of alleys and waterways, spectacular St Mark’s Square and Cathedral, the bell tower, the Doge’s Palace, the Rialto Bridge and the mystique of the Palace of Prisons and the Bridge of Sighs, Venice has to be seen to be believed. Join us for a full-day sightseeing tour through the crags and passes of some of Europe’s most dramatic mountain scenery. Our journey includes Canazei, below towering Marmolada, a crossing of the Sella Pass into picturesque Val Galdena, and you’ll be able to take in the panoramic views during our many stops along the way. It’s “Arrivederci, Lago di Garda”, today, as you board the coach and transfer back to the airport to check in for your flight back to the UK. Equally favoured by mild winds in the winter and cooling breezes in the summer, Lake Garda provides a perfect backdrop for enjoyable holidays. Each of our hotels offers a base from which to enjoy the beauty of the lake and the excursion programme.